Part 2: Leveraging Integration of Public Policy to Drive Supplier Diversity | Econsult Solutions, Inc. This is Part 2 of Angela Dowd-Burton’s “Leveraging the Integration of Public Policy to Drive Supplier Diversity and Inclusion Part 1”, which focuses on three key components of the City of Philadelphia’s diversity program, discussing the goals, strategies, tools, and tactics used. ESI has developed a variety of analyses to help institutions working to ensure equitable distribution of economic and financial opportunities. We are able to marshal data, analytics, and strategic guidance to inform whether and how communities are fairly accessing employment, contract opportunities, and banking services. Learn more about our services here. 1. An infrastructure that solidifies the rules of engagement for those businesses that pursue contracts with the City. There is a defined process for pursuing contracting opportunities – from bid/RFP awareness (advertising, eblasts, etc. ), bid/RFP submittals, evaluation of bids/RFPs (Office of Economic Opportunity compliance review), feedback for winners and losers, execution of contract deliverables, payment tracking including confirmation that M/W/DSBEs have received payment, published reports of contracts awarded and percentage of award to M/W/DSBEs. The Office of Economic Opportunity (OEO) Registry went from 1,300 businesses in 2010 to 2,976 in 2018. The registry is comprised of 30.11% Philadelphia based businesses; 27.59% from other parts of Pennsylvania; 14.95%, New Jersey; 2.62%, Delaware; 4.81%, Maryland; 20.03%, based in other regions of the United States. The demographic breakdown of the Registry is as follows: 37.80% African American owned businesses, 38.84 % White Women owned firms; 12.10% Asian American firms; – 9.61% Hispanic American firms; and approximately 2%, Native American firms. The growth was facilitated by the acceptance of certifications from the Eastern Pennsylvania Minority Supplier Development Council (EMSDC), the Women’s Business Enterprise National Council (WBENC), and the Pennsylvania Unified Certification Agencies (PA-UCP). There is still a need to have a process that acts as a predictor of capacity, reliability and quality performance. Prime contractors are typically responsible for managing this screening process. OEO is currently exploring certification options for Disabled-Owned Business Enterprises and less mature small businesses needing time to meet certification requirements. The demographic data comes from the OEO 2018 Annual Report. Automation of the registry of certified firms enabled the OEO to get out of the certification business and encourage businesses certified by the PA-UCP, EMSDC and WBENC to enroll online with ease. Invitations for bidding and training notices are disseminated online. The OEO currently sets goals based on the number of certified businesses in key markets. For reporting purposes, the OEO removes contracts from the participation requirements where there are few or no M/W/DSBEs in the registry and highlights these markets as opportunities for business development. 2. A culture shift regarding advocacy from the OEO to all operating departments. The top down leadership begins with both the Executive and Legislative branches of government. Advocacy starts in the Mayor’s office and runs down and across City functions, streaming a network of behaviors supportive of supplier diversity and inclusion. The Mayor’s Office and Members of City Council can work productively together to build a stronger, vibrant business community. City Council introduced legislation to establish Economic Opportunity Plans, Economic Opportunity Oversight Committees, the City Council Economic Opportunity Review Committee and reporting requirements for all major projects inside and outside of city government. Public policy directives and legislative alignment supporting minority participation were strategic and impactful. The OEO’s relationship with operating departments shifted to a “client services” format, requiring collaboration with departments in setting and achieving their diversity goals. Departments are informed on a quarterly basis of their performance and ways to improve or maintain their momentum for inclusion. The OEO has solicited an outside-in perspective from key stakeholders who have a vested interest in the success of OEO and are committed to providing an objective assessment of its strategies and tactics for driving business development. The OEO Advisory Board, established in 2010, is comprised of the CEOs of the African American, Asian, and Hispanic Chambers of Commerce, the Eastern Minority Supplier Development Council, Women’s Business Enterprise National Council, and more. The Annual Disparity Study is used to publicly highlight how close the City is to parity in the marketplace, comparing the percentage of disadvantaged businesses in the market relative to the percentage of contracts awarded to M/W/DSBEs. The City reconciles its annual performance against the annual disparity study which includes recommendations for increasing the effectiveness of the City’s supplier diversity operating model. You can set goals that, with some effort, are achievable and sustainable by using a local Disparity Study as a reference tool for defining your market. The OEO periodically benchmarks the City’s performance against other major cities to ensure that it is adopting best practices. The “Monthly Doing Business with the City Workshop” includes presentations by the OEO to attract certified businesses, the Procurement Department to share upcoming bid opportunities, Finance to discuss professional service RFPs on the street and how to submit electronic proposals, L&I to present City building permit requirements, Community College to encourage attendees to enroll in the Goldman Sach’s 10,000 Small Businesses capacity building program, and Philadelphia Industrial Development Corporation (PIDC) to promote financial services for companies leveraging City contracts. Iola Harper, Deputy Commerce Director, who took over in 2016, has also conducted workshops in each of the City Council member’s Districts to insure the word gets out about the City’s efforts to build business. Iola supports Mayor Kenney’s Rebuild Initiative being rolled out to attract minority and women owned businesses in the field of construction. The Rebuild Program is being launched to get non-certified businesses engaged on small, but meaningful projects at Recreation Centers, Libraries, and Playgrounds. You can increase participation by providing access to information, opportunity and resources through outreach, crosslinking the strengths of business advocates and transparent reporting. The Procurement Department recently adopted the Best Value bid evaluation process. This concept, introduced in 2017, allows the department to award contracts based on the bidder’s previous contract performance and supplier diversity goal achievement in addition to price and other considerations. This new process replaces contract awards being mandated to “the lowest responsible bidder”. Local businesses certified by Procurement receive a 5% bid preference. 3. Established accountability that takes the form of a transparent metric model that measures and monitors performance of stakeholders (i.e. operating departments, primes, subs) with a continuous feedback loop. Metrics are used to confirm a department’s commitment to M/W/DSBE participation, isolate difficulties in achieving participation for the purpose of redefining expectations when the supply of disadvantaged businesses does not meet the demand, and to reinforce efforts where departments fall short of the participation goals process. Externally, the City relies on third-party reporting systems for data reflecting their efforts, advances, challenges, and recommendations for the advancement of supplier diversity. These reports are usually prepared for the non-profit and private sectors by organizations contracted to independently monitor participation goals, actual inclusion performance and document variances. City Council has passed legislation that mandates all major projects over $100,000 to have Economic Opportunity Plans (EOPs), which include M/W/DSBE goals and workforce diversity objectives based on ethnicity. Projects over $5,000,000 have Economic Opportunity Oversight Committees (EOOC). Within the City, projects for the Water, Public Property, Streets, and Aviation Departments have EOPs. Private sector projects requiring City Council approval typically have similar goals and reporting requirements as well as an EOOC. Each EOOC may include representatives of the OEO, City Council, Controller’s Office, project owner, contractors, a third-party diversity monitor and Unions. EOOC’s review participation goals and achievements and work to address any challenges in meeting project goals. In addition to the City departments, the $1.2 billion Comcast Innovation and Technology tower project and the multi-million dollar campus expansions of the University of Pennsylvania, Drexel University and Temple University are just a few that use EOOCs to track their projects and diversity commitments. The consistent, persistent and insistence of supplier diversity outcomes which grow small businesses and put people to work are essential for the growth and sustainability of our economy. Although, the preference is to help prime contractors do the “right thing” – engage and build sustainable relationships with M/W/DSBEs – there are consequences for companies that do not follow the supplier diversity standards set by local government. Stop payments and/or debarments are two penalties used where necessary. Providing clarity of expectations in the bid/contract terms and conditions, access to a database of certified businesses and hosting events with mandatory attendance to jointly educate large and small businesses on the scope of contracting opportunities are just a few ways to increase the chances of contractors meeting their M/W/DSBE goals and M/W/DSBEs achieving their business aspirations. The Mayor and his leadership team receive M/W/DSBE participation reports and hold Department heads accountable for meeting their annual goals. City Council legislators query Department heads during budget hearings and other meetings about their inclusion strategies and participation results. OEO – Can limit contracting opportunities to bidders who do not pursue participation goals in good faith. Finance and Controller – Can stop payments on contracts underway if a contractor is found to be in non-compliant on their M/W/DSBE commitments. Procurement/Finance – Can exercise a maximum three year debarment of a prime who deliberately fails to contract with M/W/DSBEs listed in their contract. City Council – Can deny an approval required on large real estate development deals. Commerce – Can refuse to allocate land, financial resources, and tax abatement on projects. Inspector General’s Office – Can investigate cases of fraud related to falsification of participation documents and payments. We have discussed the goal, strategies, tools and tactics. Let’s review the results. Participation goals were set at 25% in 1984. Those goals were increased to 30% in 2015 and 35% in 2016. Over $2 billion in contracts were awarded to M/W/DSBEs by the City of Philadelphia and quasi-public agencies during the Nutter Administration (2008 to 2015). An additional $620 million in awards to M/W/DSBEs has been added since Mayor Kenney’s Administration took office in 2016. The Economic Opportunity Plan Dashboard, established to track the number of EOPs since the passage of the legislation in 2012, is available on the OEO website. This dashboard shows how leveraging public policy and collaboration across the public, private and non-profit sectors can have a resounding impact on the inclusion of disadvantaged businesses. Since 2012, OEO has tracked over 1,000 projects valued at more than $13.6 billion. Private and non-profit sectors represent $11B in EOP projects with 28.8% commitment to M/W/DSBEs and actual payments to date representing 25.8% participation. In summary, there are three major components to establishing an effective and efficient supplier diversity program within local government. Many of these features can also be modified to accommodate programs within the private and non-profit sectors. First, infrastructure anchors your mission and provides the tools to engage. Building the availability of M/W/DSBEs that are ready, willing and able to meet your needs is essential. Second, a culture that shifts the responsibility of supplier diversity to all stakeholders as a shared mission is necessary. Setting achievable goals for inclusion is a sound point of departure for your team to develop their goal attainment strategy. Third, accountability provides transparency for the performance of key stakeholders. Share the results of your strategy – are you increasing utilization as a result of more outreach, expanding contract opportunities, or both? The ultimate goal is to leverage the will, resources, and commitment of your stakeholders to encourage, empower and grow minority-, women- and disabled-owned business enterprises across your region. Growing small businesses drives the economy with impact. Angela Dowd-Burton is President and CEO of DowdBurton Associates, an economic development firm, and is a Senior Advisor at ESI. Angela is an award-winning business professional with over 25 years of diverse business experience and outreach within the community. 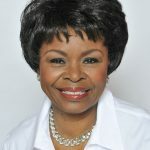 In 2010, Angela was appointed by Mayor Michael Nutter to serve as Executive Director of the of Office of Economic Opportunity for the City of Philadelphia, where she was responsible for leveraging business services of the Commerce Department to strengthen the capacity of small businesses to successfully contract with the public, private and non-profit sectors.